Those who have had small children at home will have a lot of toys that have been forgotten about itucked away in a cupboard or the loft. 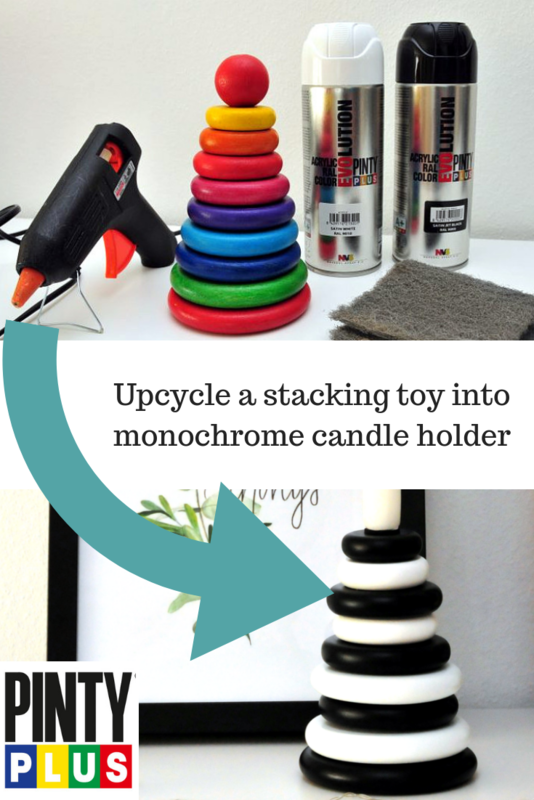 The best thing is to give them to someone who needs them, but if you are creative, we give you another possibility: transform a stackable toy tower into a decorative object with spray paint . This upcycle was inspired by the stacked stones often found on beaches. 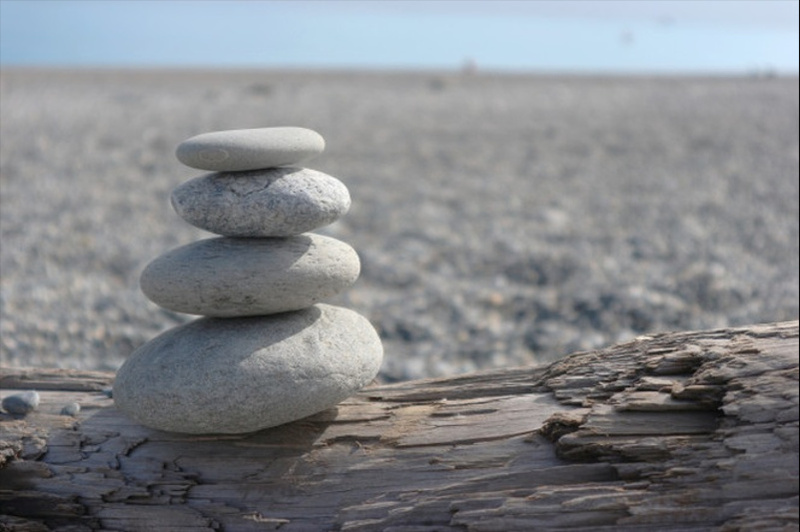 Some people stack stones as an expression of mindfulness whilst others simply because it looks good in photos, whatever the reason there is something very appealing about a tower of stacked shapes. Let’s lightly smooth to equalize the surface and remove built up dirt and grime. We will try to leave the edges perfectly rounded so that they look better once painted. Then we will clean them well with a clean cloth. Shake the can for 1 minute after the mixing balls can be heard. This step is very important so that the components are mixed well, otherwise the pigment can may come out unevenly or even clog the aerosol. We continue, arranging the wooden discs on a cardboard or paper. 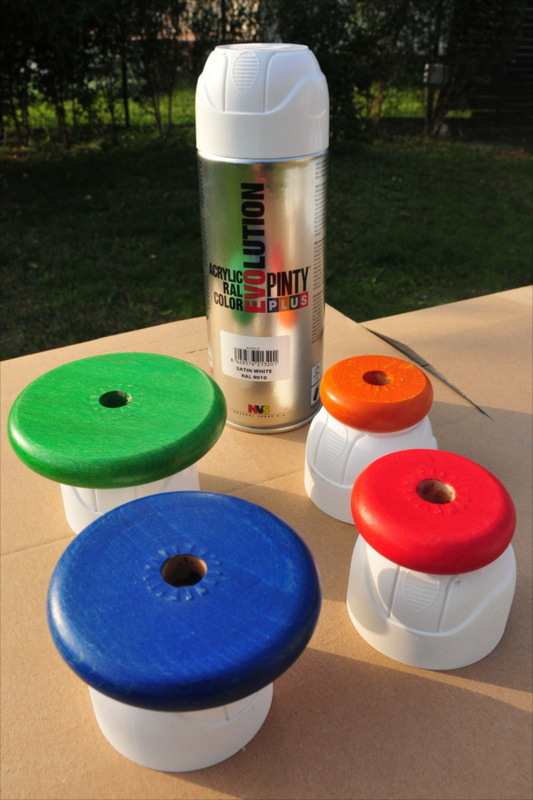 We recommend using the lids of the cans to raise the discs so the sides can be sprayed more easily. Apply thin and continuous layers until the discs are completely covered. Let them dry for 15 minutes and turn them over to paint the other side. 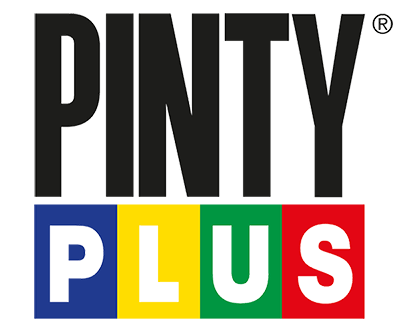 Separate them and paint the rest of the pieces with the Jet black spray of Pintyplus Evolution following the same steps as with the white one. Although it is not necessary to varnish, doing so will provide a brighter satin, gloss or matt finish, depending on the product we use. It’s also quite effective to varnish either the black or white in matt and the other colour in gloss, give it a go! 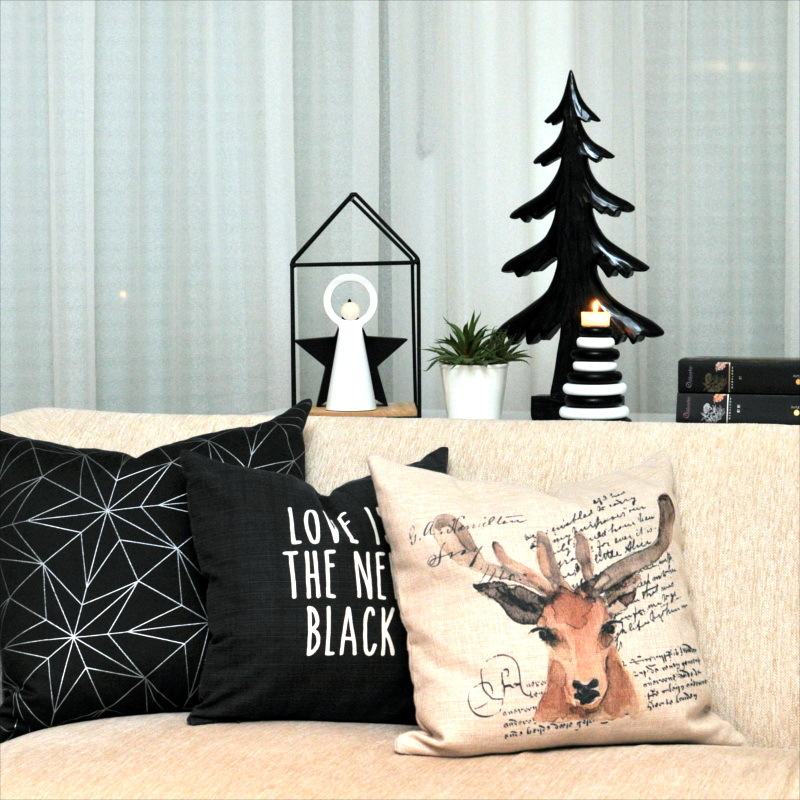 As you can see in the photographs, the black and white colors give the object a completely new sophisticated look. 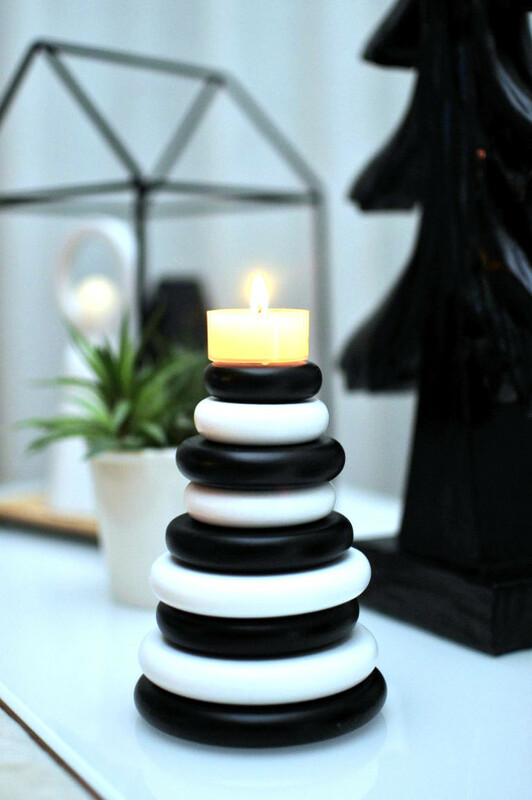 Choose the area where you are going to place your candlestick, study well what colors would be good in that area, combine them to make your chandelier. 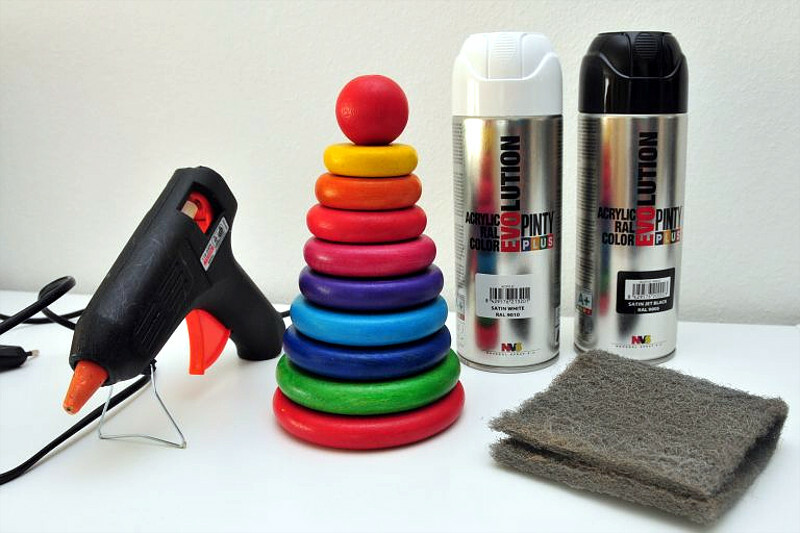 There are thousands of things that you can spray paint. 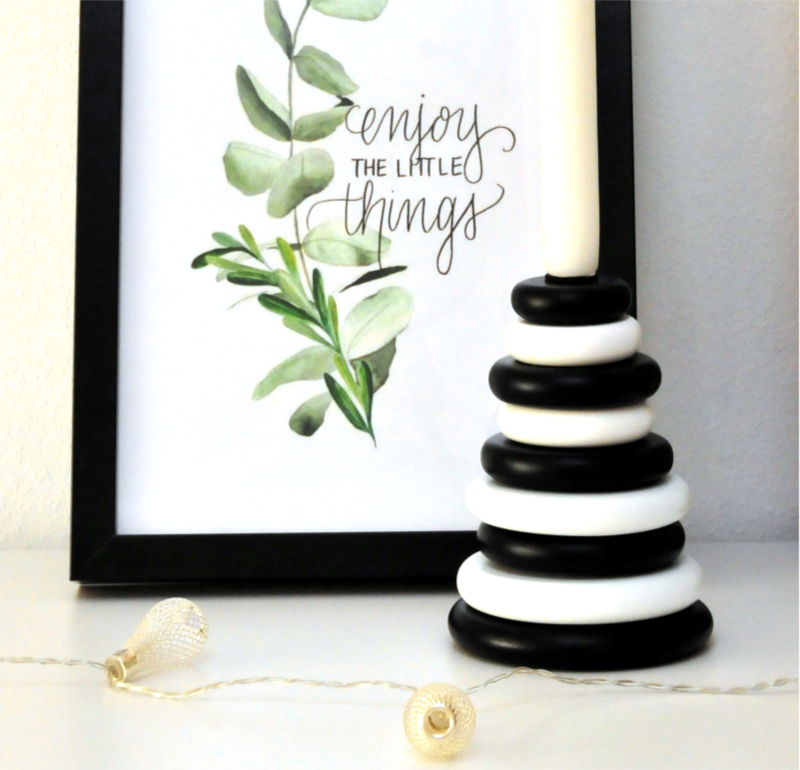 You only have to see the amount of elements that our blogger Dekorella has painted with the combination of black and white Pintyplus.